I’ve been in a big soccer mood lately and decided to try my hand at a series of of national team crests from around the world! 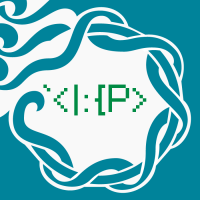 I’ve been teaching myself illustrator over the last year and am finally getting to a point now where I’m really comfortable making logos with it, and am eager to keep learning as I go. This has been a fun challenge for me, both creatively and in execution of working illustrator. No kits as of yet, but I’d love to pair these crests with some kit concepts eventually down the road. So a brief intro to the content itself: it’s only been within the last year and a half that I’ve grown to become something of a good soccer/football fan. The World Cup got me really going, and since then I’ve watched more and more of it. Very recently I’ve been digging into the history of the game and, in particular, the history of the World Cup and the sport’s greatest players. That’s what’s had me interested in doing more design work for the sport altogether. With all that said, I’m still learning all the traditions of different teams and such aesthetically, so a lot of these concepts may be more fresh takes than others, but some will also be updates/modernizations of crests as I see fit, so I hope to showcase a little bit of everything here. Anyways, first crest up is South Korea! I grew to become a big fan of Korea’s switch-out to black from blue on thier crest and primary shorts, and decided to keep them going on that route. I really like their use of a Siberian Tiger, but the full-body one they use now can tend to look like a blob from even a short distance, so I chose to make a new larger head rendering for more boldness. And there’s a Taegeuk soccer ball, as a nod to the flag, to indicate “football association”, and to add a small dash of relevant color to the crest. I’d love to hear your thoughts and critique! I’d also love to know what kind of improvements I could make in terms of craft. The tiger head is probably the most detailed thing I’ve traced on illustrator so far, so I’d love to know how that’s working and what I could do to improve. Also, so far I have five total crests done, so I’ll probably post one a day or every other day to keep it rolling while I make more. Thanks for viewing and reading! 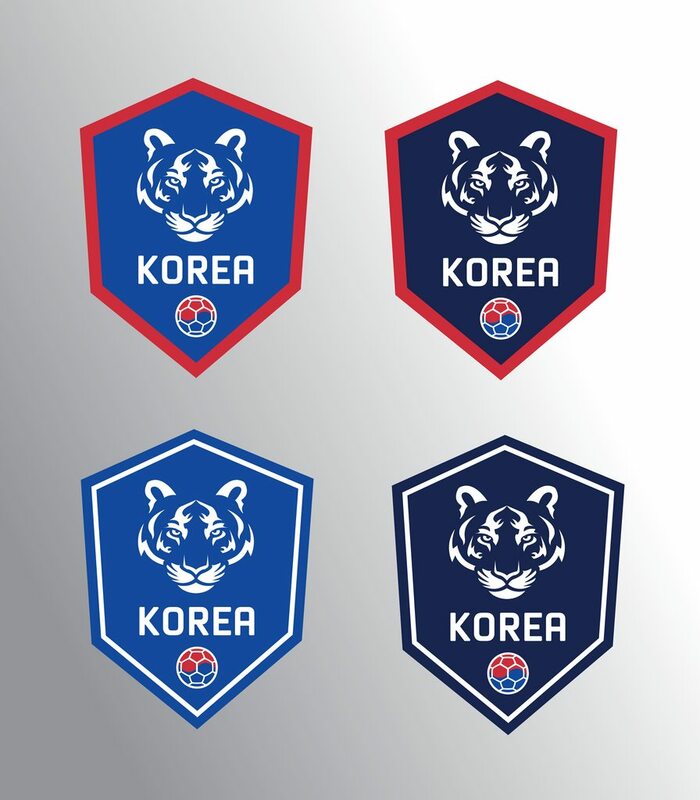 I love the new badge for Korea. Clean as ever. BUT, I don't like the switch for red and blue to black. I'm just not the fan at all. Maybe turn the badge into a horizontal taeguk-style colour scheme of red and blue. Maybe with a gold ball as a subtle tribute to the Joseon Dynasty, whose flag has a colour gold in it. Thank you for the suggestion! Much appreciated! Actually earlier today I had been thinking up what it might look like in some different color schemes as just an alternate option or two, so I’ll play around with it and post a few different ones and see what you guys think! Next up is Canada, well in time for thier co-hosting in 2026! Went for a bit of a simple, clean, vintage-y kind of look, and included black and light cream to help differentiate from other red/white teams like Switzerland, Poland, Tunisia, etc. Korea looks really clean and very well executed. That said I feel I prefer using the whole body like the original. The colors are cool though and I really like the ball/Taegeuk! Excellent work! I'd love to see some Latin American teams; maybe Panama or Peru! I love both of your starts here! Korea looks good, but I personally think that a dark blue would work better than black, but that may just be me. Canada looks superb, I like that you abandoned the typical maple leaf (the one on the flag) for a more accurate representation and a classic feel. The cream is a solid choice here, I really really like that aspect of it. Keep up the amazing work. Also, welcome to the world of soccer fandom! You'll find yourself randomly attached and excited about teams thousands of miles away. I got attached to Tottenham and I get very riled up when i watch them play, so you have that to look forward to! Thanks for the comments! Love the suggestions and will work on those very soon. I won’t be able to get to my computer tonight but should have some time tomorrow to get those Korea and Canada (LOVE that brown-for-black idea!) suggestions addressed! I’m excited to bust them out! I still wanted to pop in for a quick minute and post the next team, Finland. It’s purposefully pretty simple, as Scandinavian design (which I love) tends to lean towards simplicity and I figured that would be a fitting direction. It’s similar in idea to thier current crest, but altered a bit and stripped down to some degree while made a bit bolder all the same. “Simple yet strong” is the aim. The shield is also rounded on the bottom on purpose; the other Scandinavian teams to use shields (that I know of), Norway and Sweden, use pointed bottoms and I wanted Finland to have a shield style of their own to differentiate. Maybe not that big a deal, but something I felt couldn’t hurt anyways! Oh and P.S: there will definitely be a couple of Latin American teams on the horizon, probably more as I go! I’m gathering more ideas day by day and trying to keep it all as spread across different regions as I can, so stay tuned! No new teams today because I have some updates! I’ll have a new team up tomorrow instead. Korea updates - tried two different blues, royal and navy, and there’s two sets with a red outline and two with white-blue double outline. Also changed the soccer ball lines to white to help the blue of the taegeuk not get lost against the blue of the shield. I’d love to hear your thoughts! A little tiny clue for tommorrow’s team just for fun; they’re a past World Cup host. Canada looks great with brown, it really completes the throwback look. 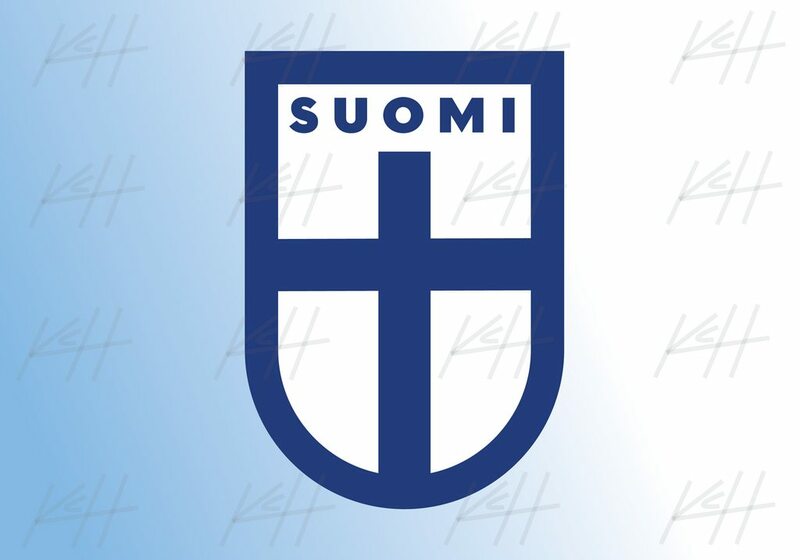 I really like the rounded bottom of Finland's crest, it is a big improvement on the current one. 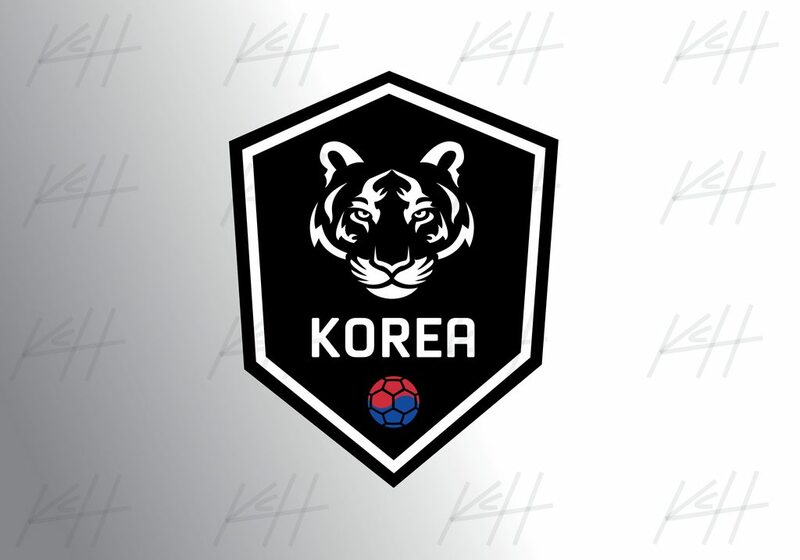 As for South Korea, I would go with the navy with red outline, I like it the most of the options because it is easier to see the tiger head than the royal, and it includes the roayl stil in the ball allowing for a possible navy, royal, red color scheme which could look incredible. Next team up is South Africa! 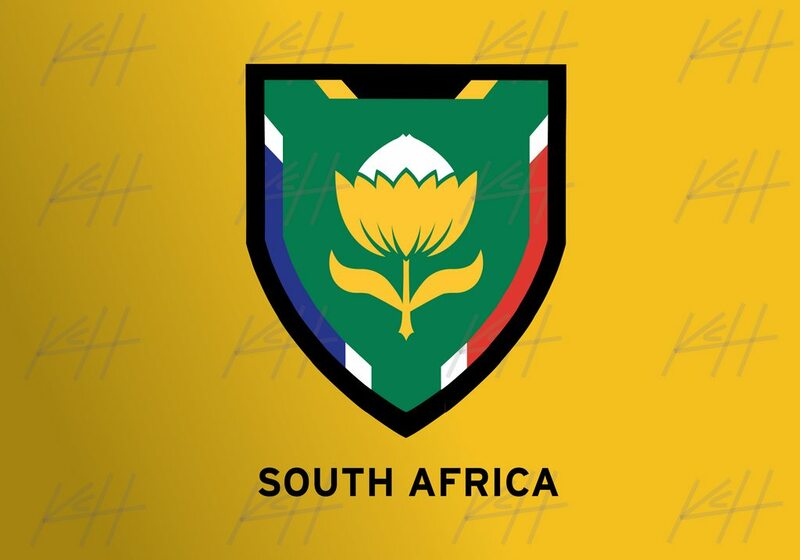 The new shield retains the image of a Protea, the national flower, but I wanted to mix things up a bit too. South Africa has one of my favorite flag designs in the world and I’ve always been disappointed that the national team hasn’t incorporated inspiration from it more. This is my attempt to showcase all of those colors, and I tried to make a thicker border that could incorporate elements of the flag’s design as well. I’m wondering if it’s executed well enough or not, and would love some feedback on this one especially (but still feel free to comment on the others too if you’ve got anything). Thanks, all! South Africa's is phenomenal. Love the flag incorporation. The Others look great as well, my only suggestion would be to make the top of Finland's shield blue and the text white. These are all beautiful. 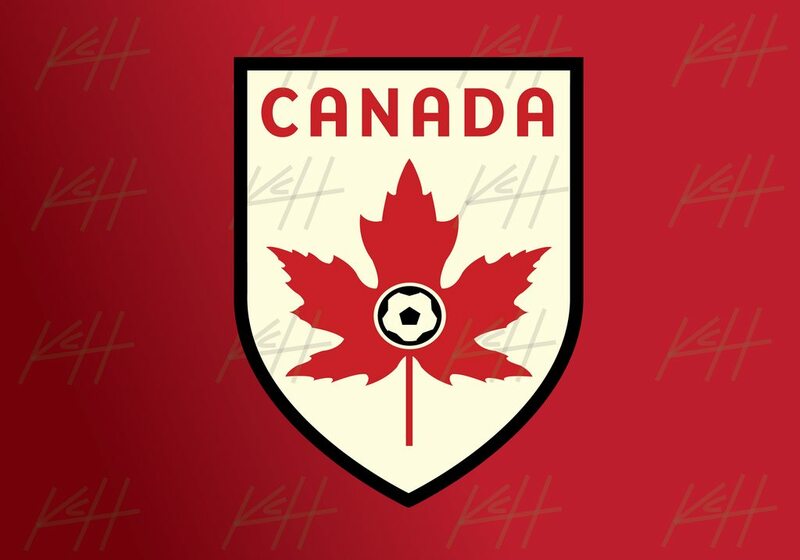 National team crests should be one thing above all: simple. 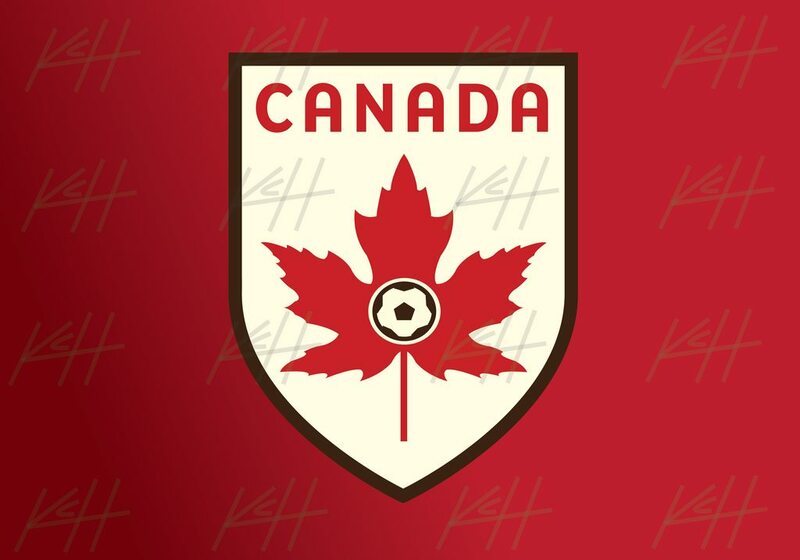 Your Canada crest is beautiful. I love the brown version. Thank you guys! I’m glad South Africa’s looking like it worked. I was hoping the execution was there! The current crest is okay, but kind of teetering on generic I think. Argentina has a sun on thier flag like Uruguay does, but they’re not using one on thier crest, so I’m having Uruguay beat them to it and own it for themselves. At the center of the sun is a vintage-style soccer ball, as an homage to Uruguay being the inaugural 1930 World Cup champions. Finally, though Uruguay does acknowledge thier championships with stars within the current badge, I’m used enough to championship stars above badges that I honestly completely missed that Uruguay acknowledged them until the knockout stage of last year’s World Cup. So I put the four stars* arched above the sun so no one would miss them like I did. *(Quick fact, though Uruguay has won two World Cups and not four, FIFA recognizes thier 1924 and 1928 Olympic Gold Medals as World Championships, so Uruguay has traditionally used four stars). All of these crests are magnificent. 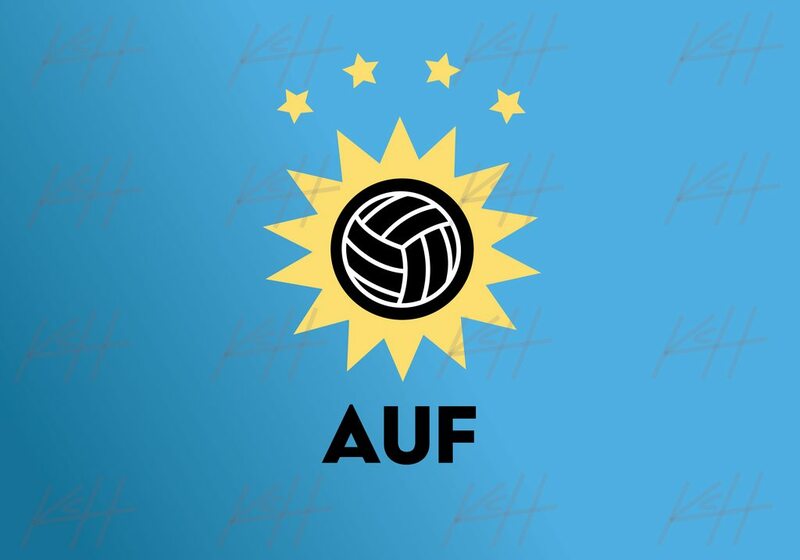 For Uruguay: if you want to emphasize the sun and have them really own it, I would suggest making the flames slightly more fluid like the one on the flag, if that makes sense. I love the simplistic nature of your design, but I just feel like this feature would make the crest look less like a badge and more like a sun that I agree they absolutely should own. Korea looks alright in navy blue, but I think the black was perfectly fine and matched the flag better. I think the white outlines for the soccer ball hexes make the Taegeuk harder to see, not easier. Finland is simplistic but solid. 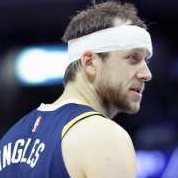 I would hope that they have some interesting kits to prevent their brand from leaning sterile, though. South Africa looks great! My only suggestion is to shrink the green shield a tad. I agree with @BVZ's suggestion to make the sun's rays wavy for Uruguay; right now it's a bit too simple to read as the sun from the flag. Thank you guys very much for the comments and suggestions! They’re much appreciated, as always! The more I look at Uruguay with the suggestions in mind, the more I totally agree that the sun rays would work better wavy. I will definitely get on that and make the sun match the flag’s sun better! FWIW, Finland used the coat of arms on thier World Cup of Hockey and Sochi 2014 uniforms so there would be some precedence to it. Anyways, here’s another team, the Australian Socceroos! 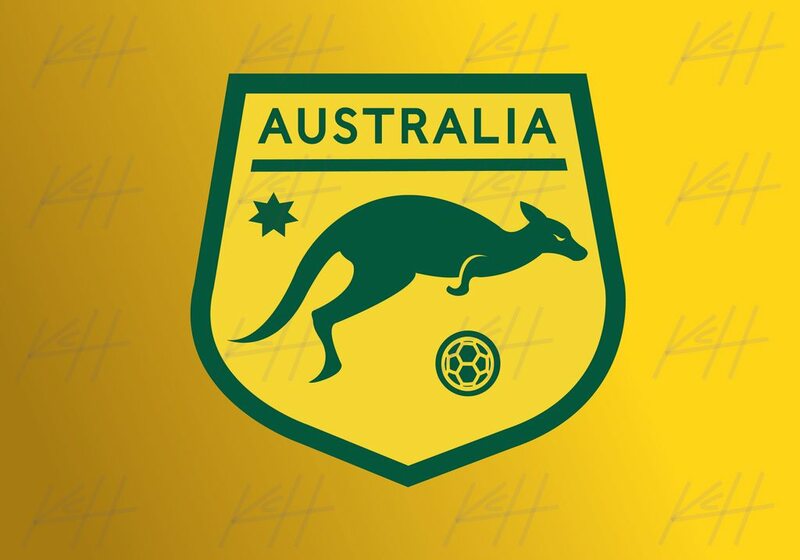 Kept the shape of the old crest “shield” patch thing, but made the kangaroo the focus instead of a part to the left because, well, “Socceroos”! With a nickname like that and such a unique national symbol, gotta own it. I also made it more of a full shield than a patch like the old one because I felt like there was just a lot of space left open around the interior content, which made the content of the crest look kinda small, and to be honest when watching Australia sometimes it didn’t look like they had much of a crest at all from a distance, so the goal was to give them something a bit more substantial. One thing I’m worried about is the foot, I made it pointed like that to give it a look of motion, as if the kangaroo is still bouncing away with the soccer ball, but at times it looks like one large talon or something. I wanted to see if you all thought that was a problem or if it’s okay. Thanks once again for viewing and reading, and for all of your help! This has been fun and I’m excited to keep churning out more and getting your feedback. I’m still making new stuff at least every other day, so this should keep going for a while! Are you doing requests? If so, I have no doubt you can come up with something better than what Slovenia has now. Slovenia is actually one I have thought of doing, so yes you’ll see me tackle them soon! Alright I’ve got another team today, Denmark! This was actually one of the first ones I’ve made, but I hadn’t posted it until now because I’m really not sure how I feel about it. It’s much more of an update to the current than a rebrand per se. I’ll post the original for reference too. 1) Just wanna know if this update works to modernize it, or if I took away too much character, and 2) I’m also hung up on the “D” in “BOLDSPIL” - I’ve tried to find reasons why that D would be small and tucked upwards, and thought it was a Danish character, but I’ve looked up the language and seen the team’s name spelled out normally and the d is not small or altered in anyway, so I’m not sure what’s going on. I kept it true to the original just in case, but can just as easily make it equal to the rest of the lettering if it’s not necessary or specific to the language. Anyone know for sure? I would like to see the DBU a bit more similar to the original, as it was very unique. 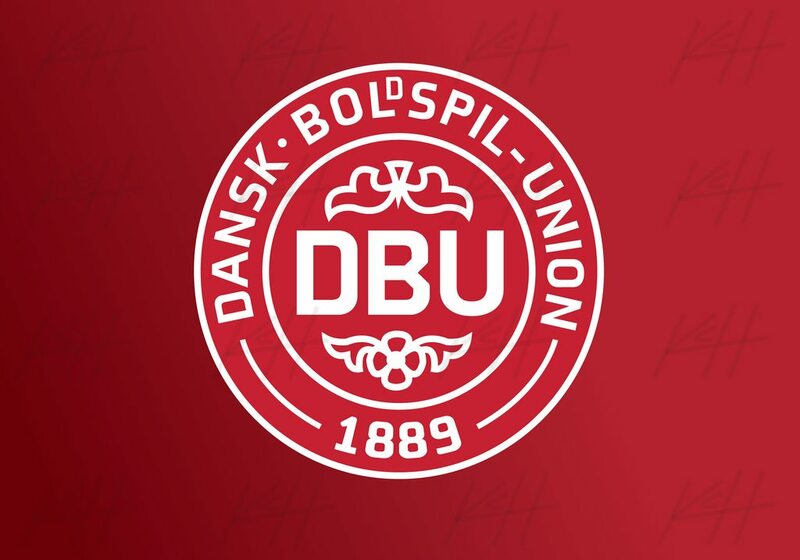 Maybe enlarge the symbols and make the DBU fit the shape? I also have no idea what's going on with the LD but assume it was done because of the odd spacing an L creates. As you have it now, and as they have it, the D looks like a superscript, instead I'd like to see what it looks like fit into the L space better so that it doesn't break up the line of the type. Thanks for the comments! I’ll definitely do some tweaks with the suggestions in mind, I’m very glad to get some feedback on it. I may not get a batch of updates up for a little bit but I will definitely get to them! Next team up today is Wales, and I also made a new personal logo and simplified presentation I’m using for other applications outside of here, so all the new stuff will be in that format just for unity’s sake across where else I share my work! 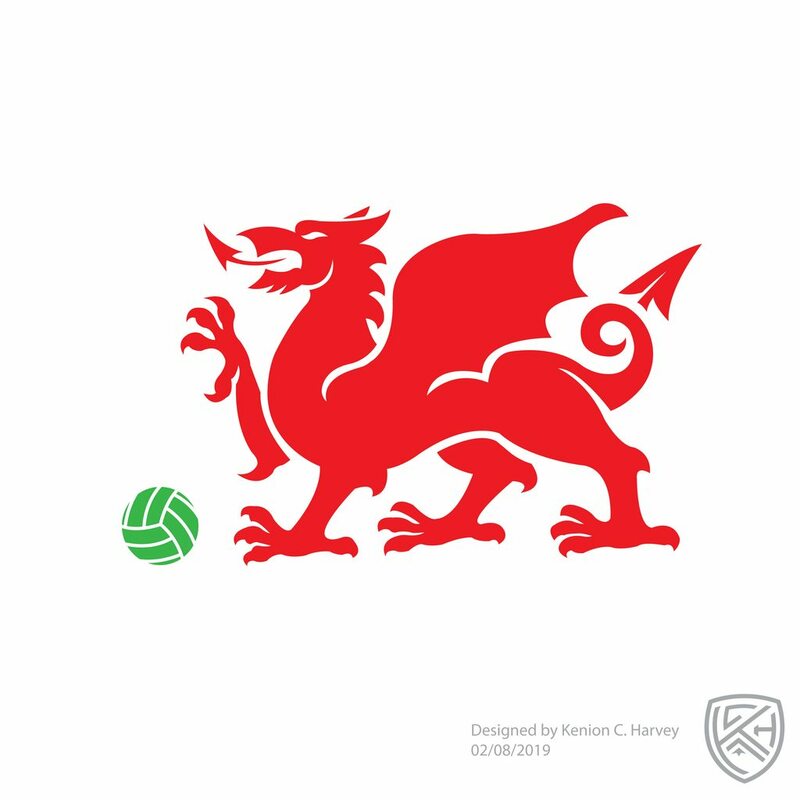 Wales actually has a pretty nice crest right now, so I definitely didn’t tackle them because I thought what they had was bad in any way. I just got to thinking that the dragon is so iconic for Wales and such a great symbol that it made sense to me, if they were ever to change, to just go with the dragon on its own. It’s a cleaned up, modernized take on the flag’s dragon, and is accentuated with a light green old-style ball. Some of the tracing was a little tough (still an amateur and learning a lot day by day), but I came away pretty happy with it. Still of course would love some feedback on what you all think and how I could make it better!